Sandvox. The Hit List. Tangerine!. Stars. 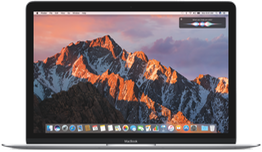 If you are ready for Sierra, these apps are ready for you! Sandvox has just been updated to version 2.10.8. This solves some Sierra-specific issues related to publishing and document language choice, along with some other issues. If you got Sandvox from the Mac App Store, be sure to use the store’s update mechanism to install this new version. The Hit List is at version 1.1.26 and works just great. Tangerine! is still helping you build custom playlists at version 1.4.3a.